Starting at 18 months, we coach the fundamentals of sports and motor skills. Our welcoming space gives children the power to explore sports. Using a low student to coach ratio, we empower students to grow and explore 9 different sports during the early stages of childhood development. Focused on gross and fine motor skills at this age, we incorporate body weight exercises to enhance muscle tone and memory. Children benefit both from self-initiated play and from teacher-planned activities. We maintain a routine but embrace opportunities for imaginative play. Coaches are present and providing encouragement instead of praise. We build confidence to challenge the capabilities of the students. 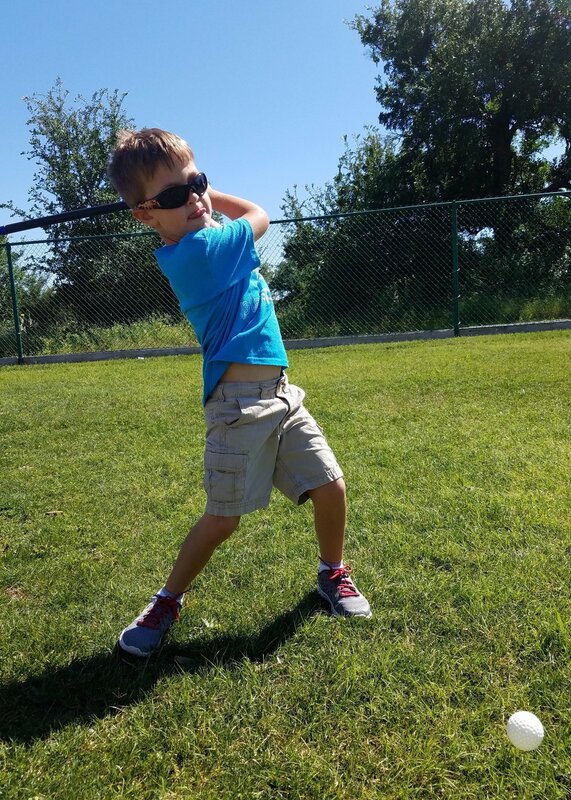 Starting at 18 months, we introduce the fundamentals of baseball, basketball, football, golf, hockey, soccer, tennis, track and field, and volleyball. We teach sports congruently throughout the year when professional leagues are in season. We start classes with agility drills then transition into hand/foot-eye coordination games before our sport lesson. We develop muscle tone and improve muscle memory during these imperative years of childhood. Our coaches tend to be "inner voices" to young minds. Play Sports might expose children to sports for the first time, so we create the foundation for good sportsmanship and team etiquette along with establishing life skills. Our philosophy capitalizes on the success of repetition and sequences. Since language learning works similarly, our popular sports program naturally lead to the demand for a Spanish program. Play is important for developing the whole child. Within our team atmosphere, we shape children's experiences and approaches to learning. Children seek to learn about everything around them in early childhood. Using interactive teaching methods, students stay mentally active while exploring new concepts. “The coach works specifically with my son and always gives us feedback on how he is doing. Join our sports or Spanish program if currently enrolled in one of our schools. Discover more about the cost, planning, and hosting a sport-themed Play Sports party. Ask us to reach out to your school to start our sports or Spanish program on site.